Our Marching Band Competition season is over. Next up, parade season!! Congratulations to senior Erin Hicks! One of the three recipients to receive a VMBC scholarship for $1000!!! ​We are currently underway to purchasing new uniforms to the Altavista Marching Colonels. We have been using the same uniforms for 17 years now. We had students using the same uniform their aunts uncles wore in 2002. If you are interested in donating to this, the form is below. We are also working on getting an easy online donation button on this site. Th 2/28 – Pre-Assessment Concert. Attire is (school appropriate) comfy casual, like jeans and hoodies. Attire for the event is black close toed shoes, black socks, white undershirt, and the Altavista Bands collared shirt will be loaned to students before departure. It is recommended that students pack snacks. We will stop for supper on the way back. We are working on a plan for 8th Grade lunch. We are planning on returning around 7:30 PM. 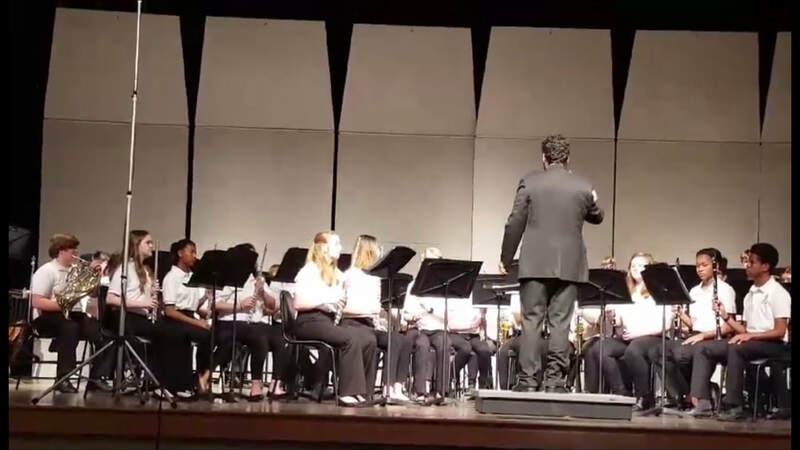 Attire for the event is black close toed shoes, black socks, white undershirt, and the Altavista Bands collared shirt will be loaned to students before departure. If a student is having any issues acquiring this attire, it should be informed to Mr. Ruiz ASAP. It is recommended that students pack snacks. We will stop for lunch and supper. We are planning on returning around 8:00 PM.